This feature contributes a node executing a Perl snippet on each individual row. 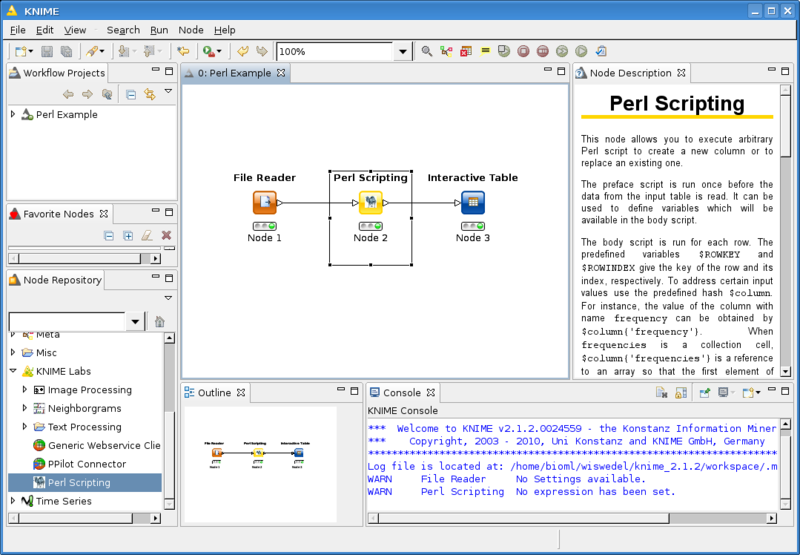 The node requires a perl executable to be available on the system (customizable in the KNIME preference pages). 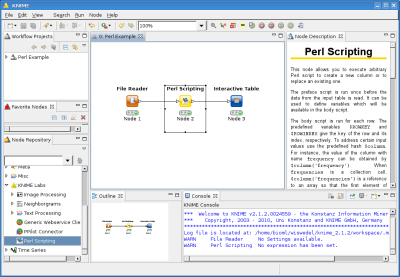 The communication between Perl and KNIME is done via sockets, enabling processing of complex cell elements such as molecular type data and support for array type data. A small workflow using the Perl node to perform String replacement.